Complex Says: In most states, you don't need a special license (beyond a basic drivers' license) for a two-wheeled vehicle, as long as it's 49cc or less. If you're thinking of getting a bigger bike, but you're not totally committed yet, why not try this out first? Many of the skills are the same, and if you get an old-school Vespa, you'll actually need to shift--like you do with a motorcycle. 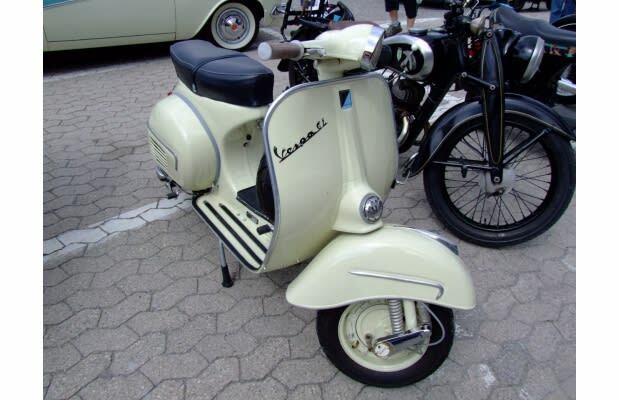 When you're ready to sell, Vespas generally hold their value, too--as long as you treat them right. Think of it like training wheels for your future iron beast.